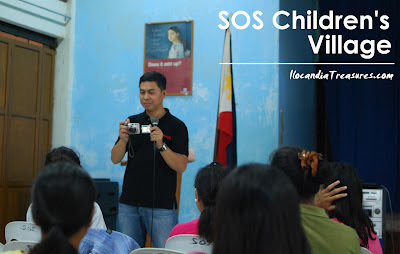 On Februay 17, 2012, The SSEAYP International Philippines (SIP) engaged in a noble project in collaboration with the municipality of Pateros and the Binibining Pateros organizers. 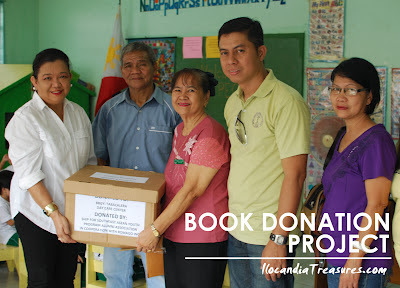 This is the book donation, read-along and feeding project. 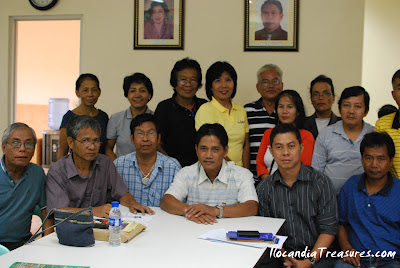 I joined three other officers of SIP that includes Leah Florentino, Yvette Ledesma and Ma. Theresa Consolacion. 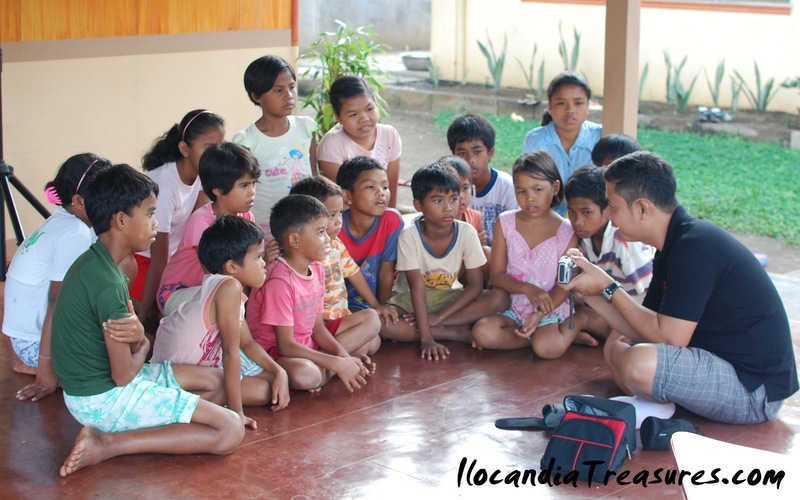 We have covered three day care centers in three barangays. These are Brgy Santo Rosario Silangan, Brgy Tabacalera and Brgy Magtangol. We started at 9am and finished at past 11am. We met the first lady of Pateros, Dr. Medina who welcomed us. 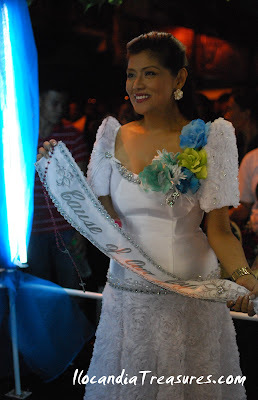 We met also the candidates of Binibining Pateros who helped in the feeding and read-along. 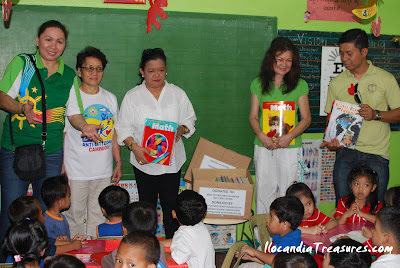 The books were donated by friends of Leah Florentino, SIP President. Boxes of books were handed to each of the barangay. The barangay officials and teachers were happy to receive them. The children together with us officers and the beauties enjoyed reading the books and big smiles were seen from them before they were served with food. 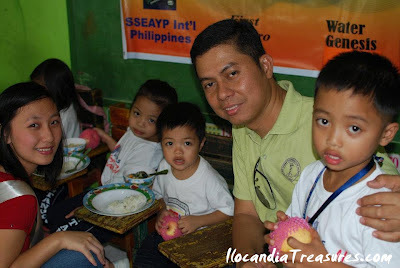 It was such an enjoyable and fulfilling activity with the children. Some friends became interested to join this project and we hope to conduct some more in the future. 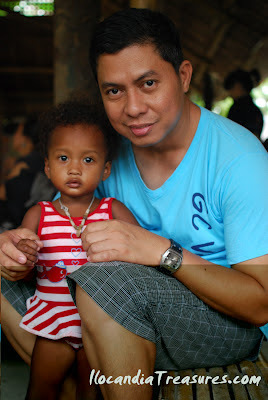 Prior to attending the Strategic Planning Workshop of NCCA in Davao last February, I went to visit a children’s shelter which I found on the net. 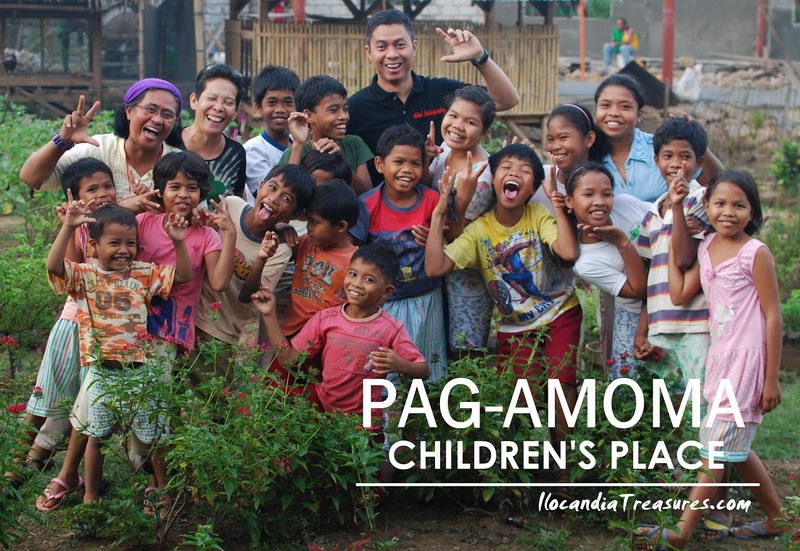 This is the PAG-AMOMA Children’s Place located in Calinan, Davao at the back of the Robillo Hospital along the Davao-Bukidnon Highway. From the airport, I went straight to PAG-AMOMA by hiring a taxi. I was fortunate to have met and communicated with Ms. Ludette Badelles, director of the center, through emails. I just got excited to see the children since I know they have a class but they were asked not to attend class in the afternoon to welcome me. Mommy Liza, the house parent was there to introduce the children and the programs of their institution. PAG-AMOMA is a Visayan word that means “to nurture.” They were organized in 1984. 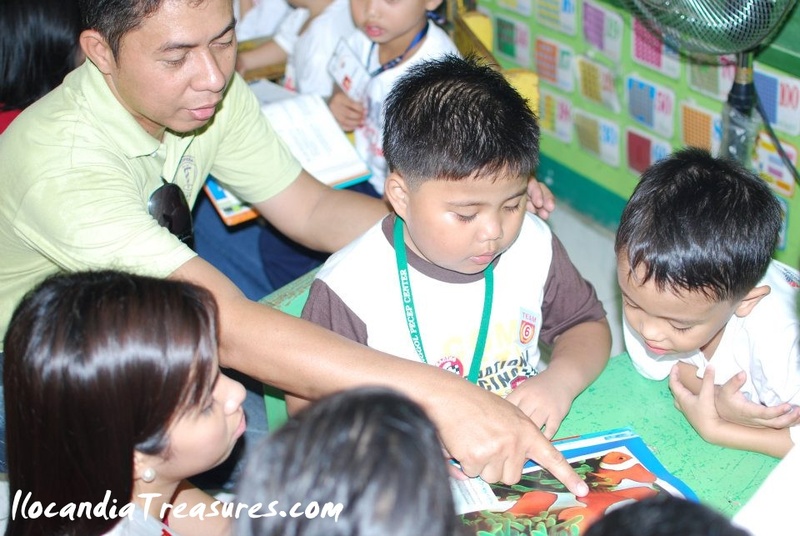 This institution is a SEC registered and a DSWD licensed local foundation for children and families that started as a community based early childhood development program popularly called day care for preschool children in uptown community of Mandug in Davao City. After a roller coaster ride of experiences in carrying out their missions they are revitalized with some of their new mission objectives such as reaching children by empowering parents and providing support systems for children in various contexts, providing alternative family care and education support to orphaned and abandoned children from the uplands to lessen the street children phenomenon, partnering with communities, groups and agencies to organize local children & family support systems and initiating Education and Peace Mobile program for children and families in the rural far-flung areas. 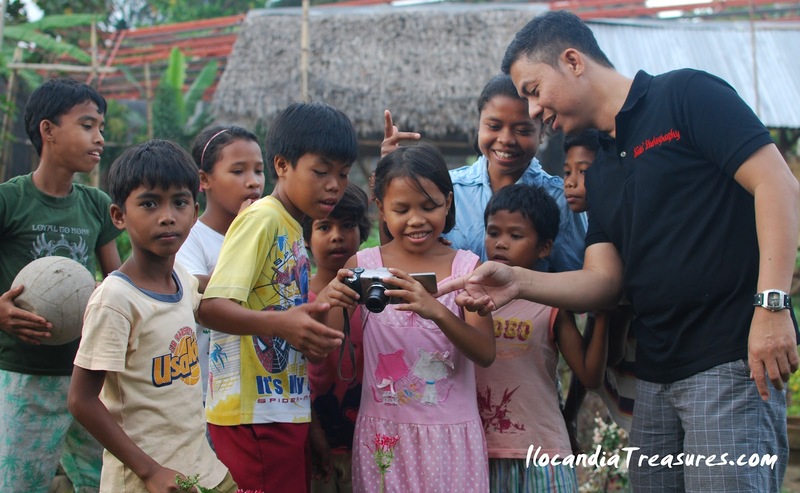 At present, they have a total of 18 children from the various entnic groups in Davao. I appreciate so much the courteousness of the children. They kiss the hands of every elders visiting. 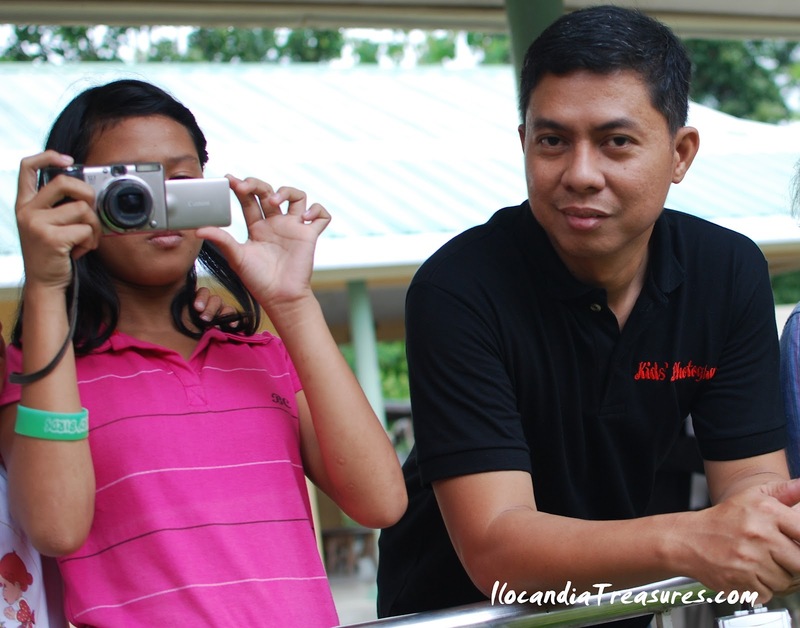 An 8-year boy opened the gate for me and escorted me inside. 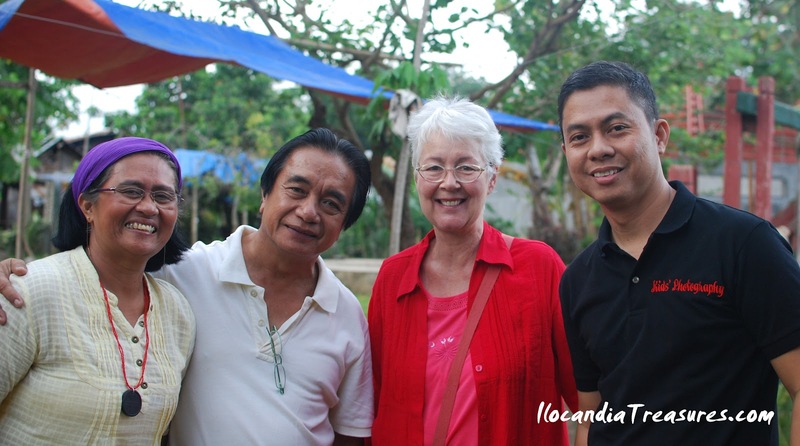 I met Ms Ludette and I was introduced to Dr. Rovillo and foreign guests. The children prepared a welcome program for me. They performed dances and songs. They are so talented. They even held a rondalla performance led by Mommy Lisa before I left. I delivered a lecture on basic photography on a casual setting, squatting on the floor. I asked them if they had the experience handling a camera and they said they never had the chance. 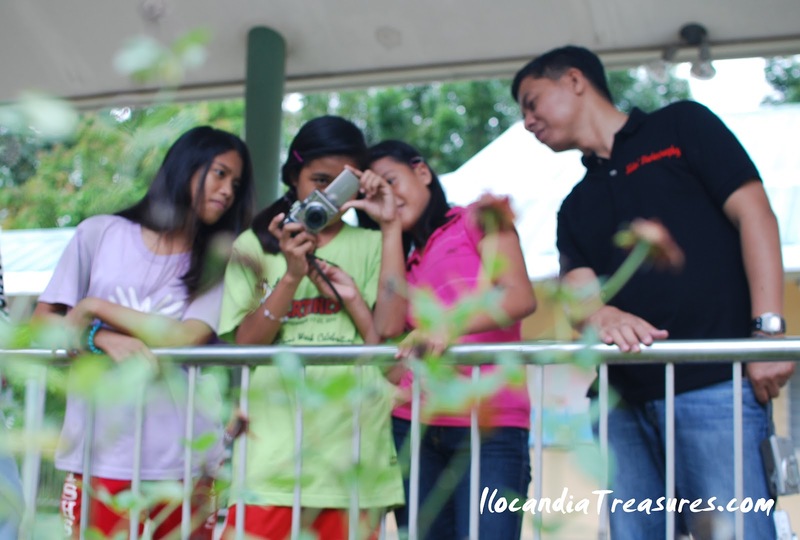 I was happy that I was there to share knowledge of photography and was able to launch the Kids on Project Photography. After the basic photography lecture, I asked them to go hands on, a workshop for all of them as they take turns in using the available cameras. 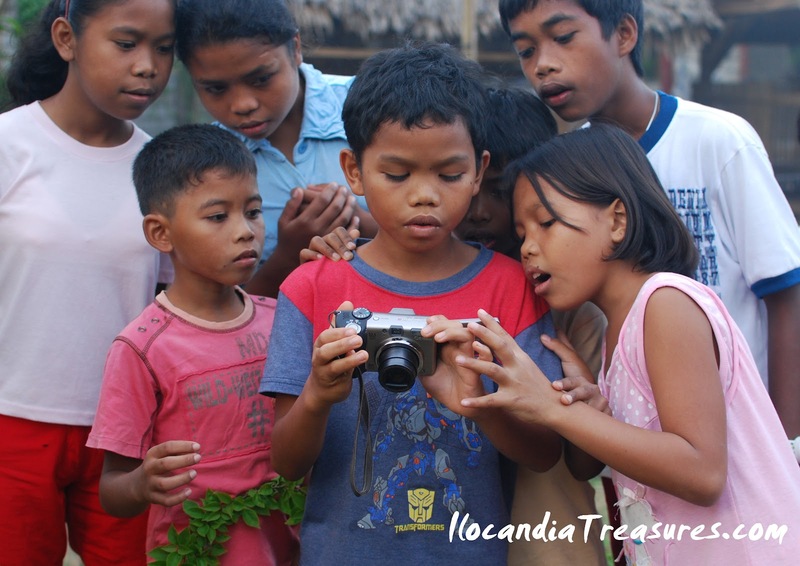 The kids were so enthusiastic to learn photography. It was indeed a fun shoot for all of them. We also had a group shot. It was a remembrance of our first great meeting and workshop. 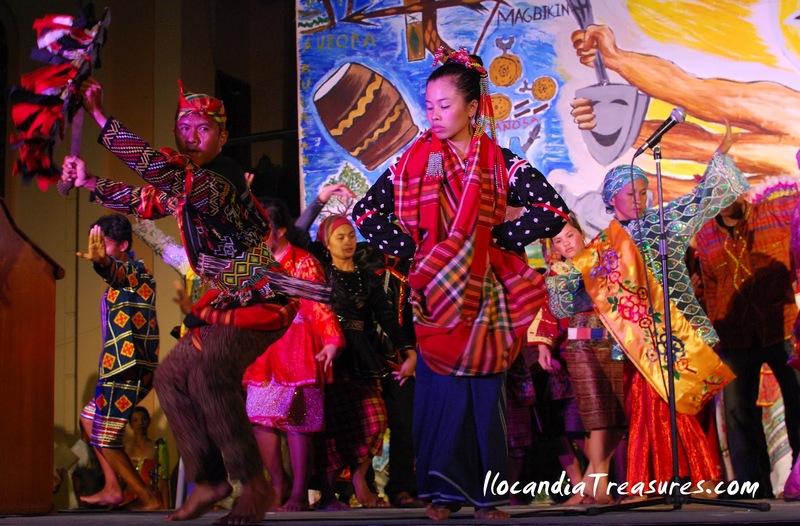 On the first week of February this year, the Subcommission for Cultural Communities and Traditional Arts of the NCCA had strategic planning workshop in Davao City. We were billeted at Grand Regal Hotel. I went earlier than my colleagues to Davao because I have to implement my Kids on Project Photography in one of the children shelter. 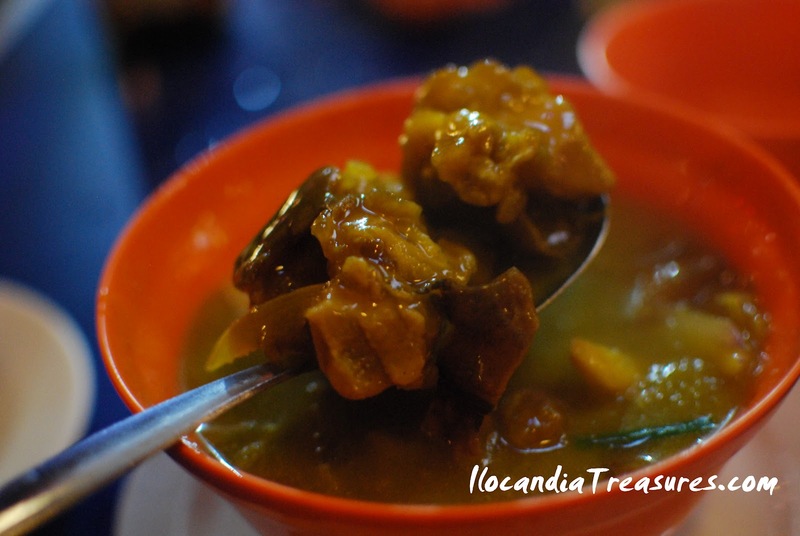 I went straight to Calinan on a taxi. After the launch of my project I dropped by at the Redemptorist Church and I was fortunate that I saw at once my friend Bro. Jose Dela Cruz and invited me join them for dinner. He rang the bell and to my suprise he introduced me to the clergy. I met some old and new faces there. 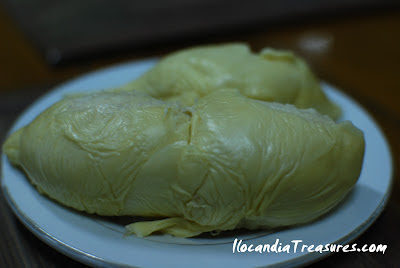 This is where I got a dose of the king of fruit with a strong odor but so luscious durian. What a welcome dinner! He later invited me to have a bottle or two of beer at the Hilltop, newest night bar in Davao opposite of Jack’s Ridge. It was a cozy place overlooking Davao downtown at night. We had a nice talk and I got from him the 3-month box where they donate old clothings to their brothers. Anybody could share anything that they don’t like anymore and someone is free to pick it up. If nobody’s interested then they share it to the inmates. It’s a way to unload some of your stuff from the closet. According to him it will enlighten you. After that warm jamming, he sent me off to my hotel. The following days were a gruelling discussion and workshop with my colleagues and with our speakers on designing plans for our subcommission. On our last night, we were fortunate that Bro. Jose is available and we took my colleagues to Jack’s Ridge, a restaurant on top of a hill that you get a good view of the city. This is a popular restaurant in the city that serves delicious food with a great ambience. We had rounds of beer and my colleagues enjoyed the place. 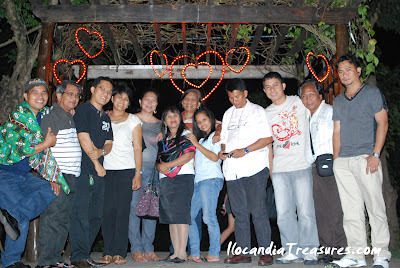 Then we dropped by at the Matina Town Square, an open night bar. This is the hang out for young people. It is commendable in this city about their ordinance off limits to smoking in public places. I have been to Davao several times and been hearing balbakwa so I ordered one. It was a delicious meat stew that contains pork, ox-tail, skin and feet. On our last day, before we daparted for Manila, I went to the market early in the morning. 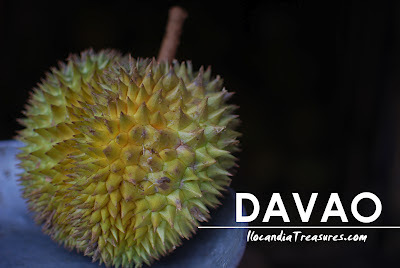 I saw many fruits, one of which is the durian, mangosteen, marang, mangoes, pineapples, pomelo and a lot more. Truly Davao is haven for fruits. 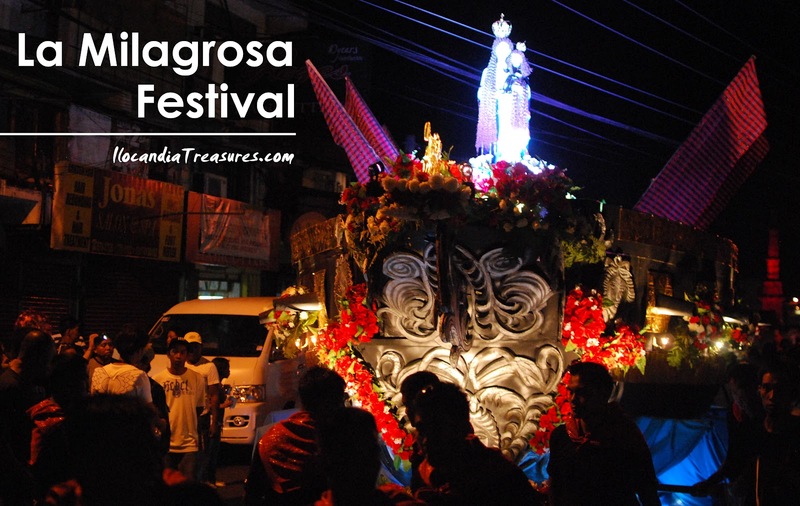 First time initiated by Governor Imee Marcos is the La Virgen Milagrosa Festival. This is to give tribute to the patron La Virgen Milagrosa of Badoc and eventually adopted her as the patron of the Ilocos Norte province. At the opening of the festival on May 2, there was a re-enactment of the galleon coming to the shores of Badoc. 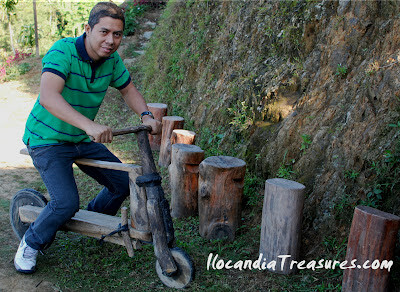 It is a town neigbor to Sinait Ilocos Sur. From the old tales, the galleon carried boxes containing an image of Virgin Mary and a crucifix. The people of Sinait tried to carry the Virgin image but they could not. 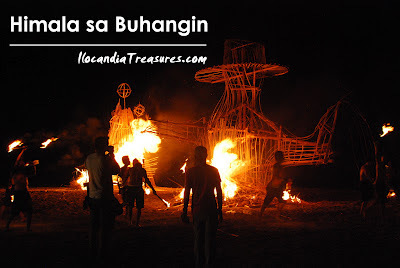 Meanwhile the people of Badoc wanted to take the Crucified Christ but could not carry as well. After failing to take home the respective images, they tried exchanging the icons instead. The miracle just happened! 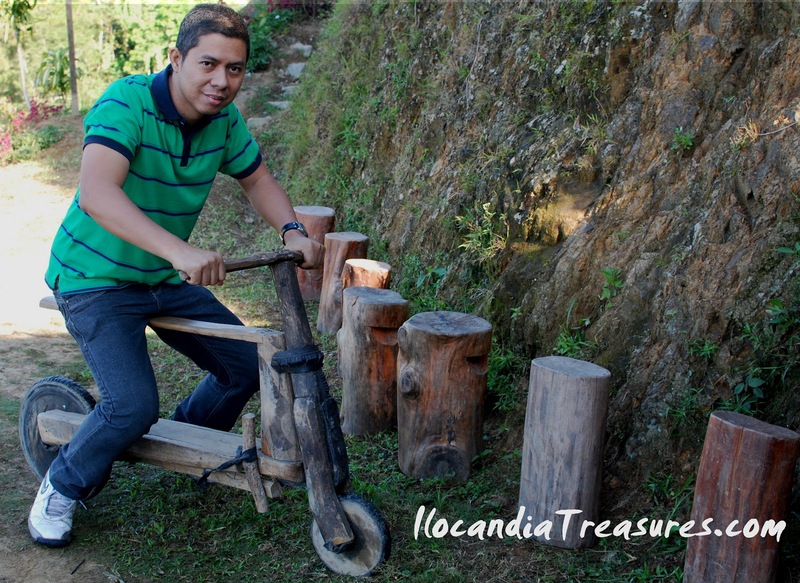 They were able to lift the images very easily; the Crucified Christ to Sinait and then La Virgen Milagrosa to Badoc. 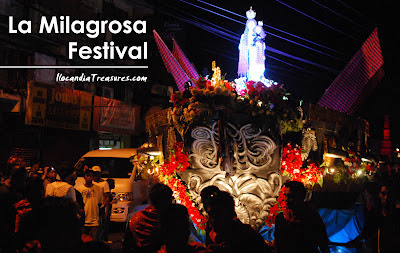 On May 05, a mass was celebrated at the Laoag Cathedral and it was followed by a libot or a procession along the downtown Laoag. 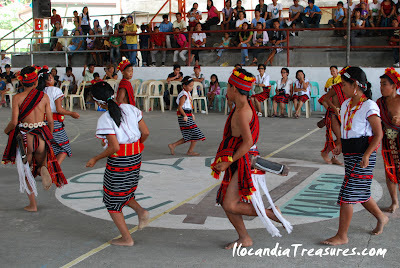 Majority of the town mayors of the province joined the governor as sagalas and escorts. 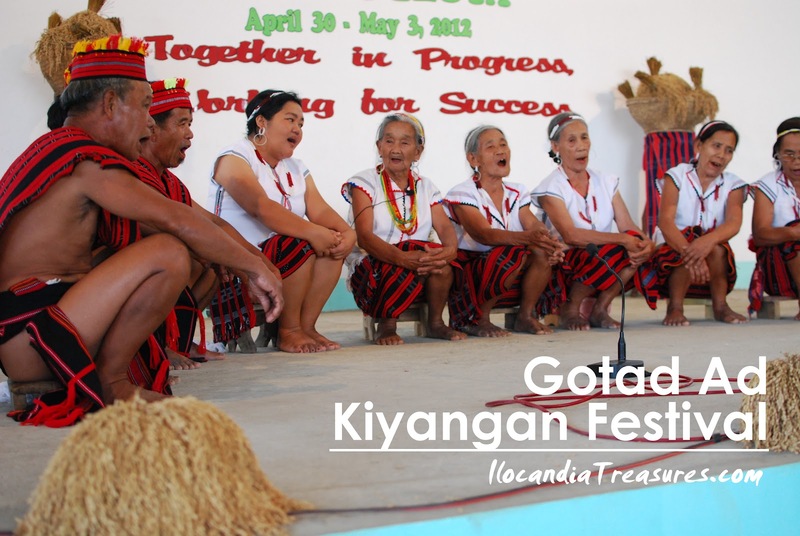 It was at the same time a Flores de Mayo celebration with floats showcasing the various patrons of the different municipalities of the province and a galleon-like float was the main attraction. The highlight of the said festival was the Himala sa Buhangin held on May 10 at the Paoay Sand Dunes. 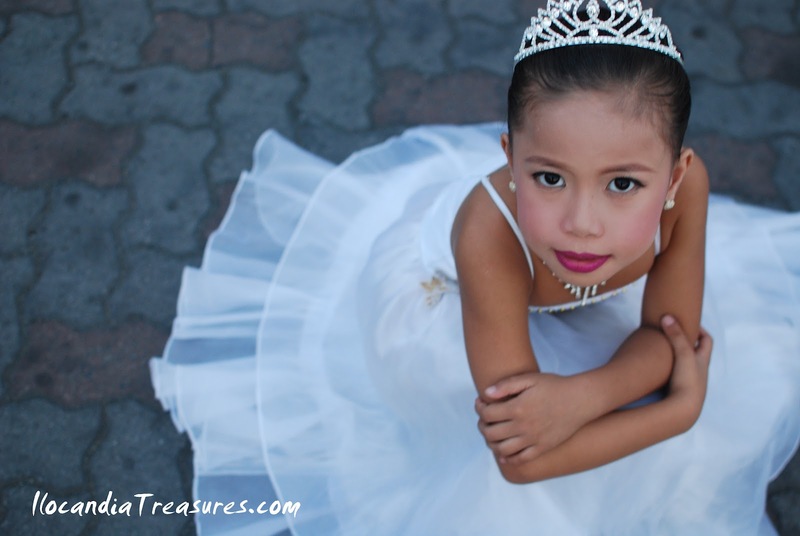 It is a whole day event inspired from the movie Himala. 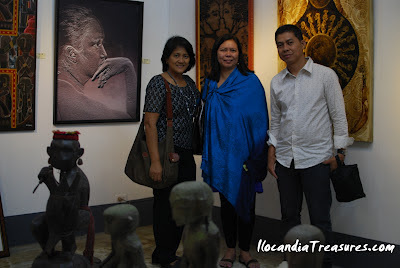 There was a mural of Himala and Biag ni Lam-ang. A lineup of activities conducted that started in the morning includes sand castle building contest, 4x4sand dune bashing, ATVs, sand boarding, Zorb ball and many more. The set up of the camp was of Arabian theme with a touch of Ilocano design, tents were installed, statues of camel and elephant with kariton and burnays accented the camp. A concert program was held in the late afternoon to midnight by popular bands from Manila. Philippine Basketball Association (PBA) celebrities and other personalities were there to witness. Belly and fire dances were a big hit. The main highlight of the day was the burning of the art installation created by artist Leeroy New. The main art installation was a galleon floating in a sea of sand. They decided to keep it and a smaller version was made that was set on fire. The fire dancers lit up one by one the torches towards the installation art and burned it. A grand fireworks display capped the day. 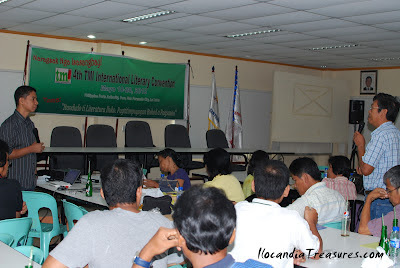 A group of writers called the Timpuyog Mannurat ti Ilokano (TMI) recently held its 4th Internatioal Literary Conference on May 18-20, 2012 at Ports Authority in Poro, San Fernando City, La Union. 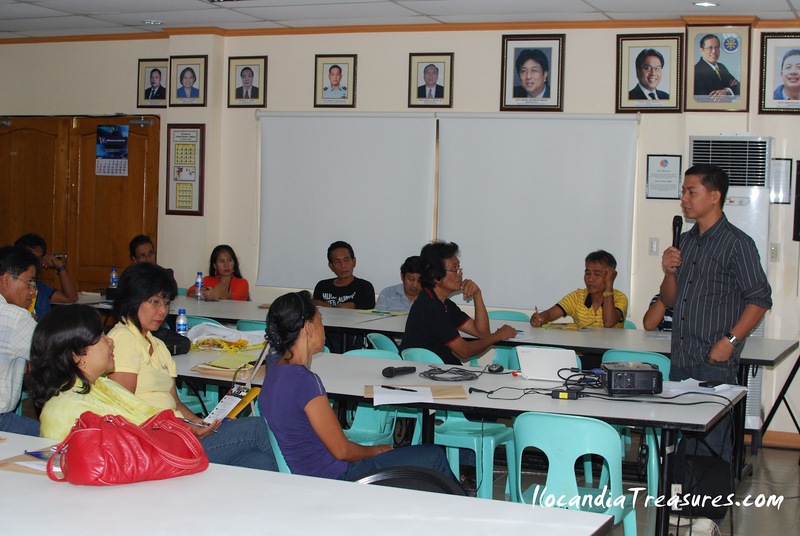 There were series of lectures conducted. There was also awarding of literary writing contest winners composed mainly of young writers. I was also invited by the TMI consultant Mr. Peter Julian on the last day to talk about Philippine Arts and Culture and shared to them the projects and programs of NCCA. Some were excited to propose projects with regards to literary arts. We had an open forum where it became emotional since a member broke into tears because of their disappointment that the agency have withdrawn the grant supposed to be received by their association. It was a grant to support last year’s conference but it was given to another writing group whom they say is much more qualified as they claimed to have been written on the NCCA letter. I asked them to provide me copies of the letter and ask for a dialogue with the following concerned people. This is my second time to attend this conference and last year it was held in San Nicolas and my group TIPS exhibited photographs during the said conference. . It was nice to see people from Isabela, Cagayan, Nueva Vizcaya, La Union, Ilocos Sur, Ilocos Norte, Australia, Hawaii and the US mainland. Hope to see them again next time. After attending a meeting in Baguio City last May, my colleagues from NCCA, Vice Mayor Ann Viola, Architect Osie Bautista and I went together to Tam-awan Village. 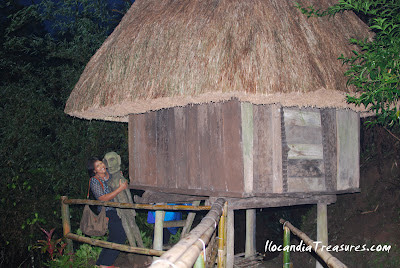 This is my second time to see the village and the first one was in 2008. The admission fee is now at Php50 per adult. 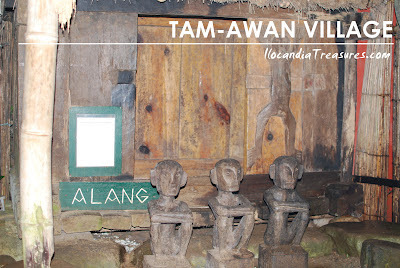 Tam-awan means vantage point because a good sunset can be viewed from the village. 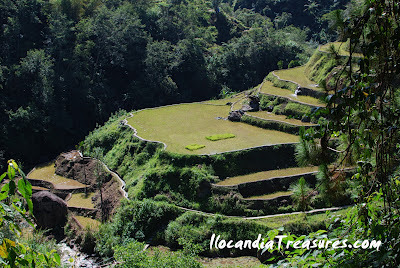 It is an indigenous model village resembling the design of a traditional Cordillera village. 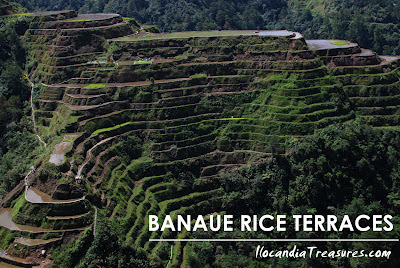 It has Ifugao huts and Kalinga houses. This village also houses art galleries and art shops. From the first gallery, there were some paintings and sculptures of bulol. 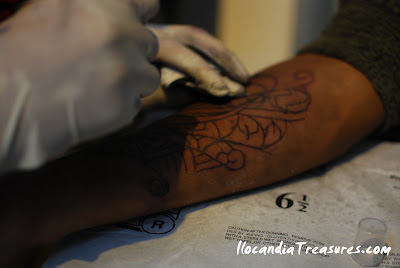 We saw some tatoo artists doing the art on their clients. Next stop was at the shop where I was attracted to buy one nice choker made from a tooth of wild boar. My companions also bought their souvenirs from the shop. 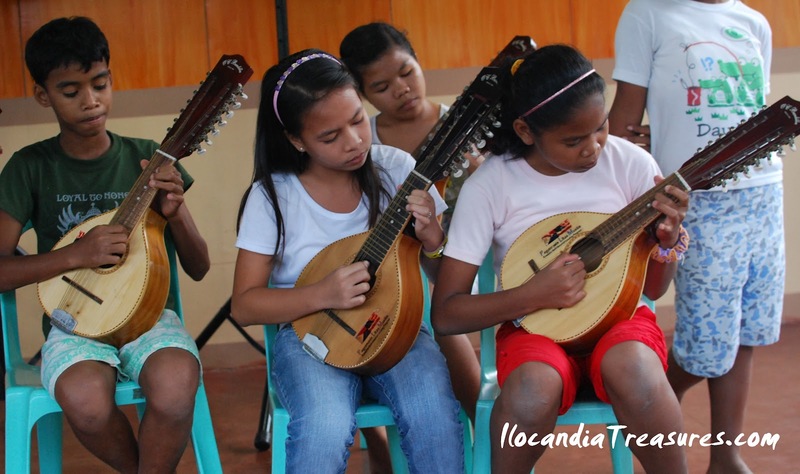 They also offer cultural shows and art workshops. 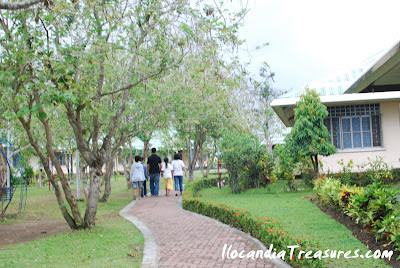 Accommodation for guests is also available for Php500.00 a night and it is an interesting stay in a traditional set up. This village is being managed by Chanum Foundation. 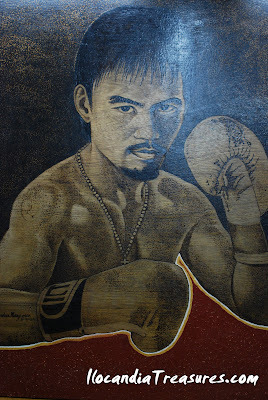 At first I didn’t notice the details of the art portrait of Manny Pacquaio, I didn’t give attention to it but when the artist explained that it was a product of pyrology, we were amazed. It is burning the wood using solar heat and a glass to come up with the art piece. 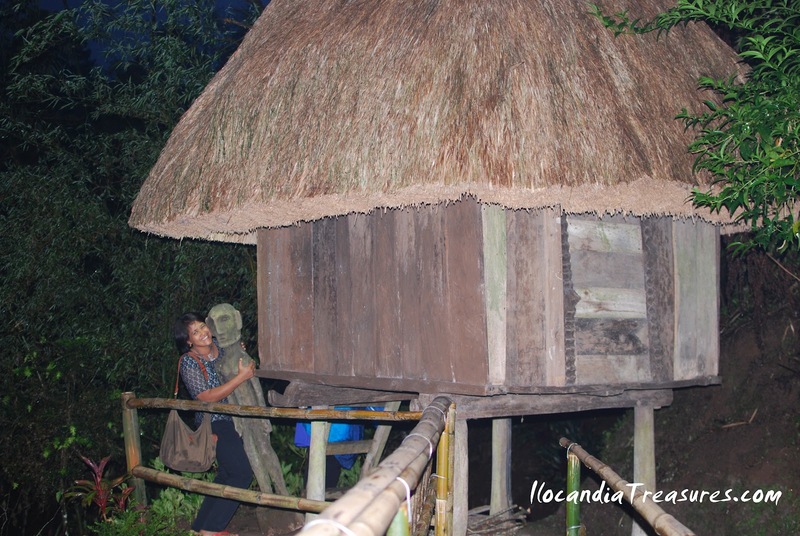 We concluded our visit with seeing some of the houses and experiencing the indigenous flora and fauna. This village is beeing considered as garden in the sky. It was a wonderful experience not only for me but for my colleagues. 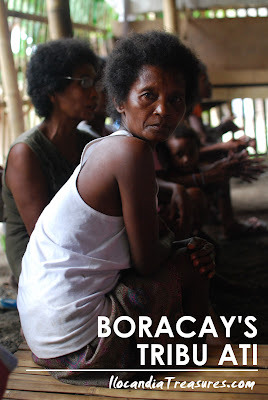 From Capiz, we made a side trip to the island of Boracay not to swim but to visit the Ati community. They are the marginalized community on the island since there are lots of foreigners and migrants now living in Boracay. 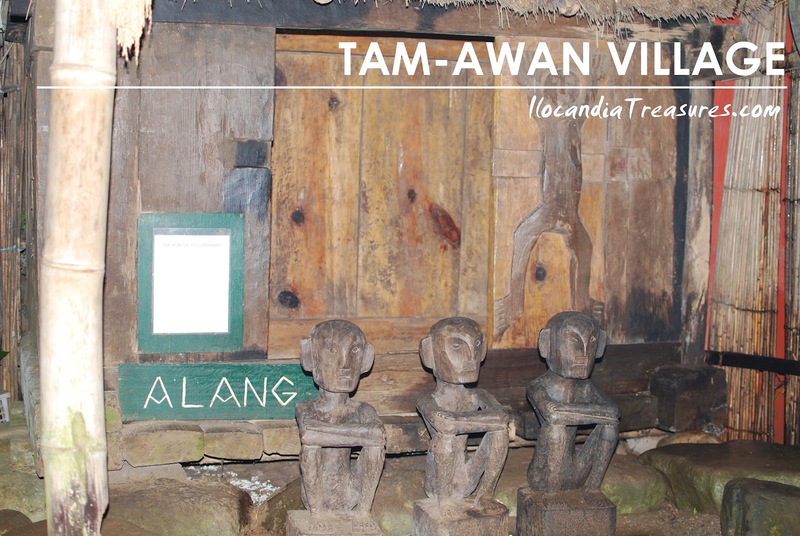 Atis were the original inhabitants of the island believed to be around more than a century ago. 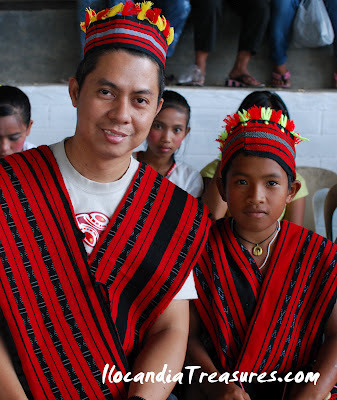 The Ati people are the Negrito ethnic group in the Panay Island. 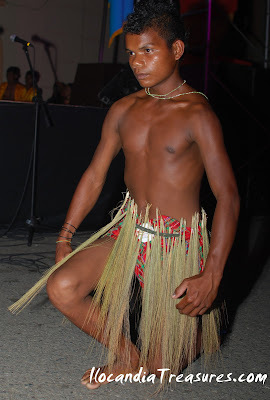 They are genetically-related to the Negrito ethnic groups such as the Aetas of Luzon, Batak of Palawan and Mamanwa of Mindanao. Their ancestors are the aboriginals or the first inhabitants of the Philippine archipelago. 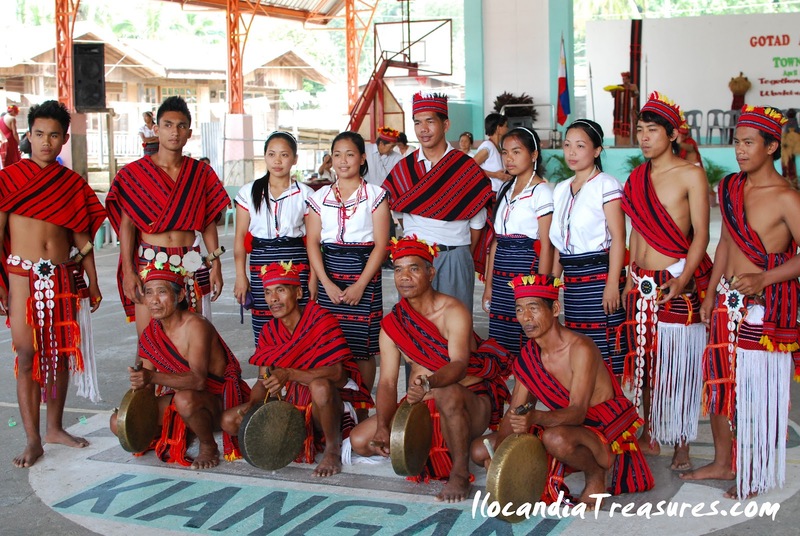 With this Ati people there are four tribes namely: Tribu Tumandok, Tribu Ugyon, Tribung Aktibo and Tribu Katutubo. 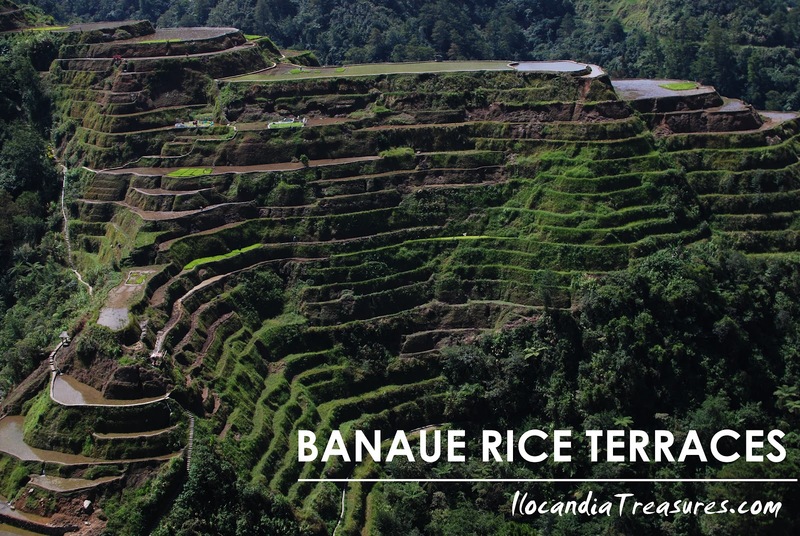 There is a controversial issue over their claim of their ancestral domain. Their story has been featured on television and other media because of their battlecry to own their native land. Since the day the island became popular, more and more buildings and establishments mushroomed around the area and hence, people grab their lands and put up private resorts. It was really unfortunate that the land they were born at cannot be owned by them. However some entities support their plight. 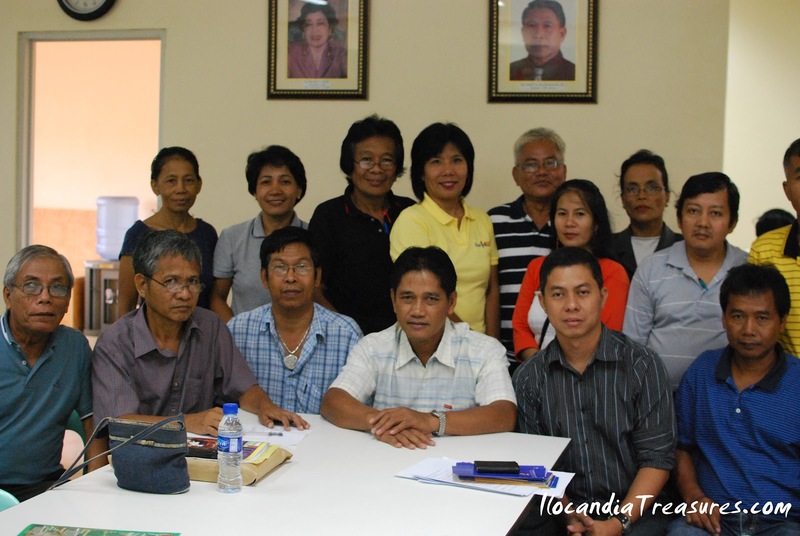 The National Commission for Indigenous Peoples supports their claim. 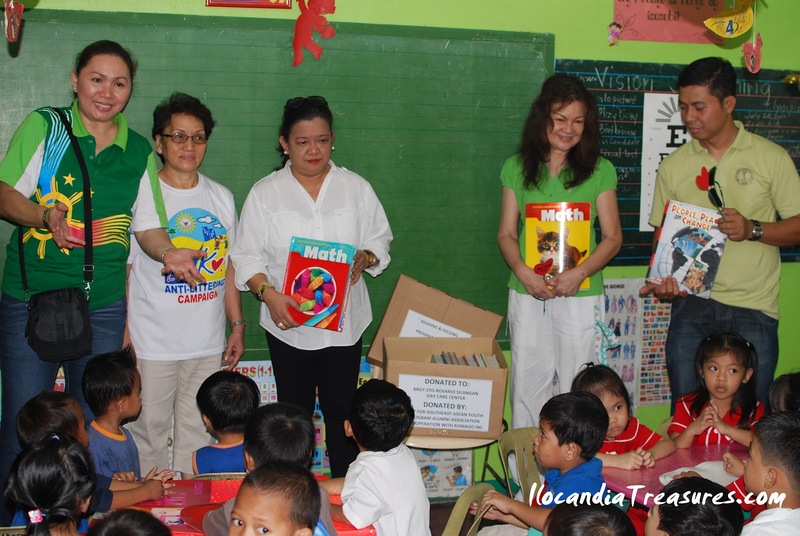 They are also supported by the nuns of the Holy Rosary Parish Ati Mission. On the lighter side, we had the interaction with them. 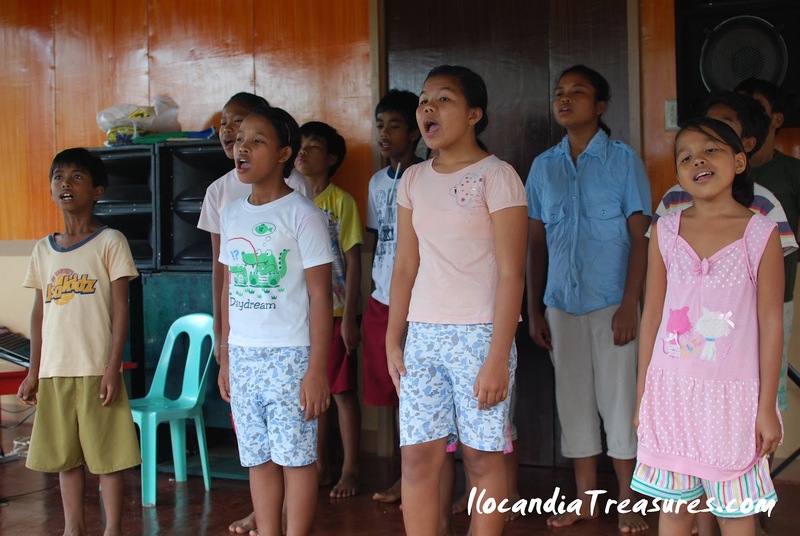 They shared their rich culture and tradition by way of singing indigenous songs. 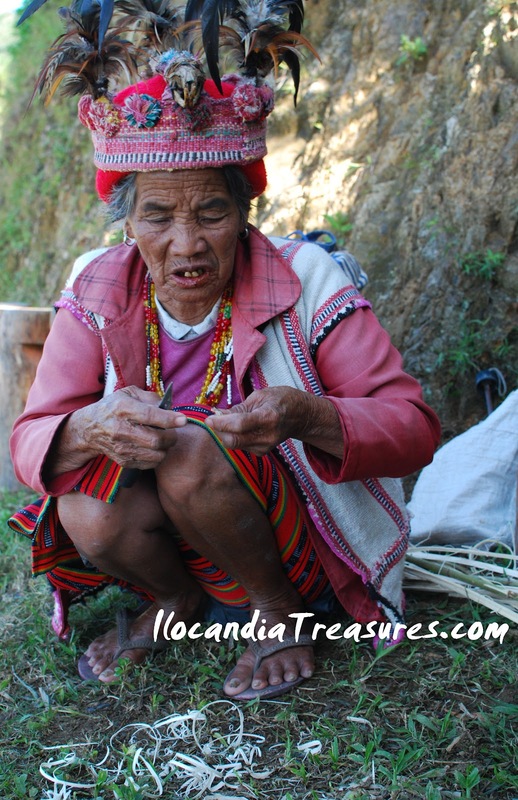 An Ati mother has showed to us how to make a purse or wallet made from abaca. 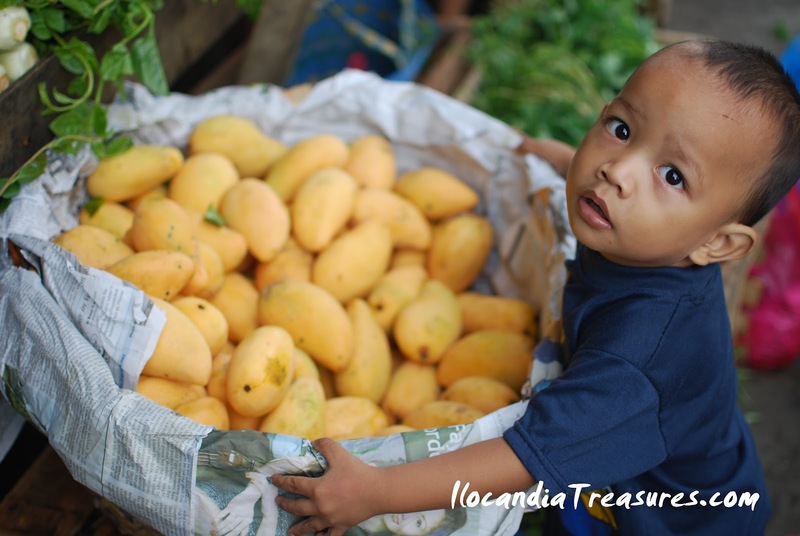 This one serves as one of their livelihood projects. I played with the toddlers Tristan and Lyn Rose. At first they were aloof but later they became close to me and enjoyed my company. Lyn Rose loves to make hi five with me. Hope the general public can help in their current problem that is encroachments into their territory and another problem is the discrimination. As a cluster head for the Iloko/Bago communities, I was tasked to select youth representatives to the program Dungog Kabataan, an intercultural youth camp initiated by the Subcommission on Cultural Communities and Traditional Arts (SCCTA) of the National Commission for Culture and the Arts (NCCA). From among several applicants, Cullen Abellon and Robin Aguinaldo of Iloko group of Ilocos Norte and Jhaper Lipaen and Daisy Mae Carbonell of Bago group from La Union, qualified to represent their respective communities. 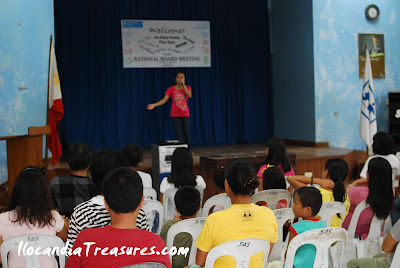 They attended the said program on May 27-30, 2012 held in Roxas City, Capiz. There were around 150 delegates representing the different indigenous groups of the Philippines. 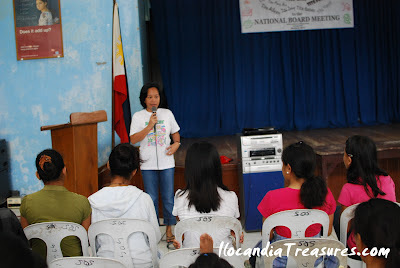 It was an all expenses paid trips of delegates funded by NCCA. Dungog is a Visayan term which means pride. It is Pride of the Indigenous Youth. Several activities were done on this program. There were lecture series, team building exercises, games, groupings, tours, and workshops for visual arts, literary arts and performing arts. 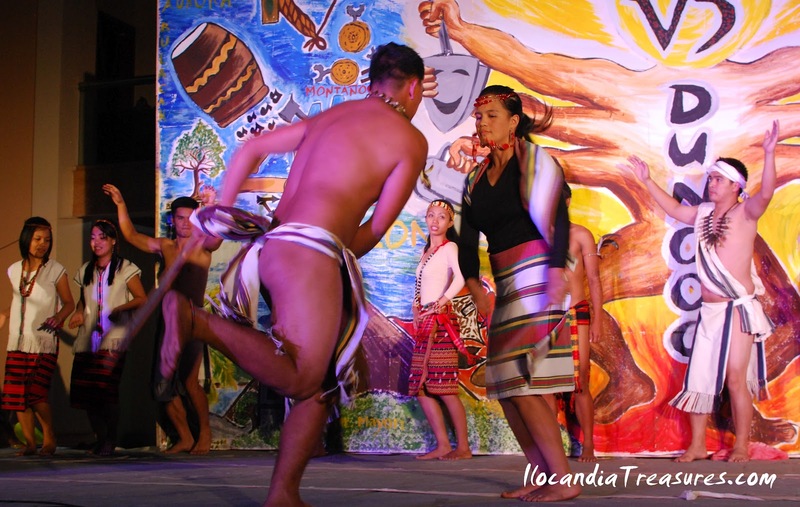 As a culminating activity, the entire delegation staged a performance night at the capitol grounds. They have showcased some of the epics coming the Central, Southern and Northern clusters especially the Hudhud and Biag ni Lam-ang. They presented their presentations with innovations. 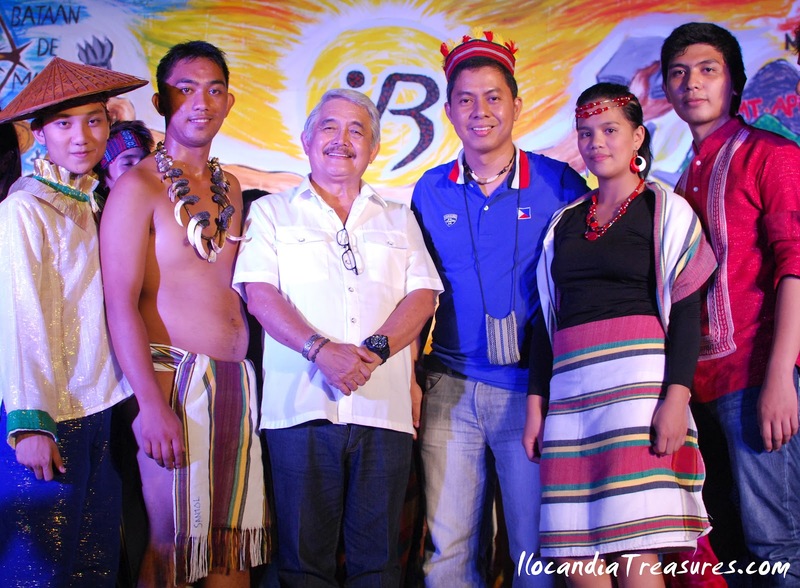 It was an incredible performance of the indigenous yout representatives attended by no less than the Capiz Governor Victor Tanco.